Bile acids are a type of steroid acid, which predominantly exist in the bile of animal and are nearly 80% of the organic compounds in the bile. There are two types of bile acids, primary and secondary bile acids. 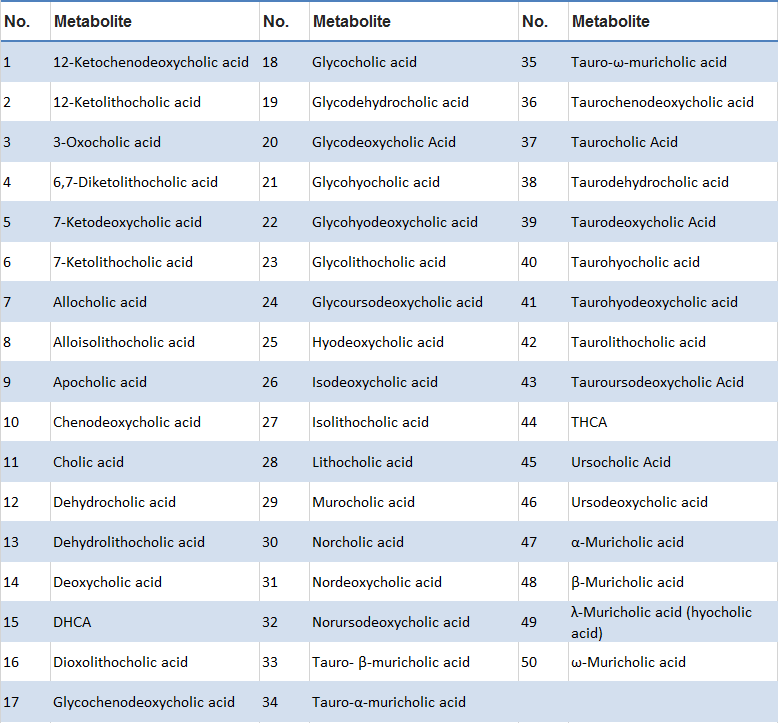 Primary bile acids are synthesized in the liver, and can be modified by taurine, glycine, sodium, and potassium salts to form multiple derivatives. Secondary bile acids are generated in the colon as a result of bacteria activities. The main function of bile acids is regulating digestion of dietary fats and oils and balance of energy. 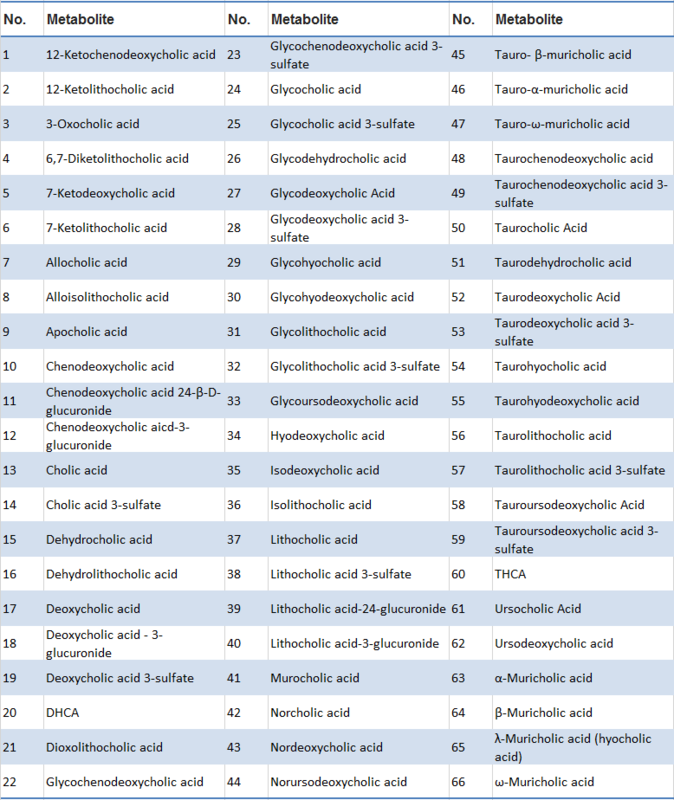 MtoZ Biolabs uses ACQUITY UPLC/TripleQuad5500 (Waters/AB Sciex) for bile acids analysis. Our service is compatible of analyzing multiple samples and is able for qualitatively and quantitatively analyzing over 90 kinds of bile acids.